This is "Lady Patrice." 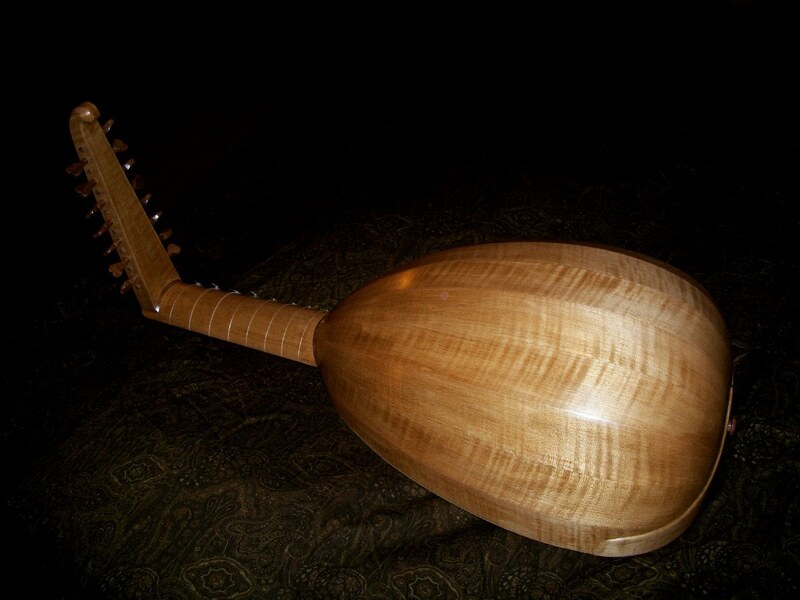 She is constructed of curly maple and highly figured walnut. Lady Patrice has a deep tone and weighs just about two pounds, eleven pounds in the case. If you will observe her finger board, you will notice I have placed the nut ahead of the edge of the neck rather than on the corner. This small bit of extra hand space makes a remarkable difference in playability. Each of the fithteen tuning pegs were hand made. This lady has a hand polished clear coat for a period look. While it does shine, it is not deep glassy like a modern finish. But, once you feel this finish you quickly realize how luxuriously extravagant it is. It feels like a solid piece of chocolate. It also resist smudging and salty deposits from skin. Very slick and smooth. 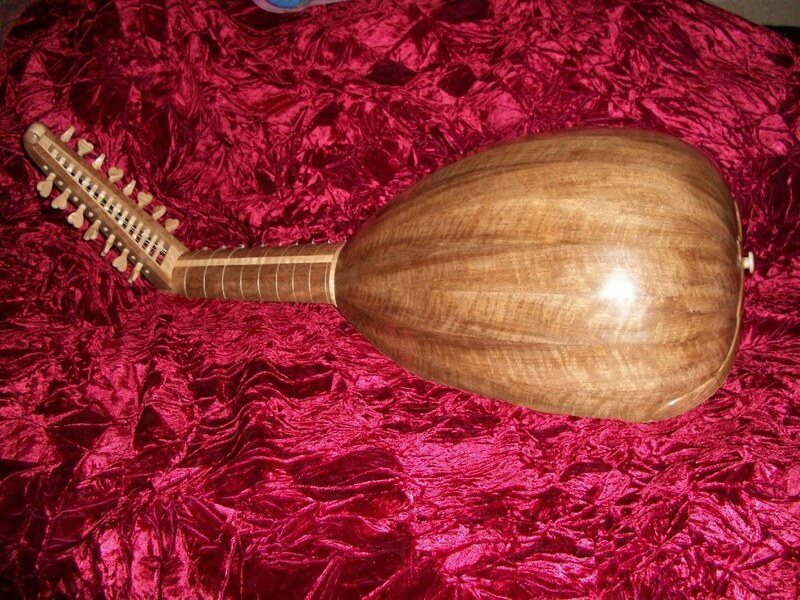 This is the same lute I am playing in my video. Please review my description of "Services & Specialties" for further description of this instrument.